With the passage of time people have become more and more aware of aesthetics of their homes. This is why the demand for window blinds has drastically increased over the last few years. Generally these blinds are used to block the entry of light through the window and also to protect the privacy of the clients. Kitchen, being one of the most personal parts of a house, needs a proper protection. This is where window kitchen blinds gain importance. These blinds are specially designed for windows and are a great way to protect the privacy of your kitchen. With the advent of the technology and competition in the market there are innumerous models and designs in that come in these blinds and so the buyer needs to make a careful selection to get the best out of it. Design: The design of the window kitchen blinds is the most important factor that clients need to consider while choosing such a product. Different designs are suitable for different types of kitchens so to get the perfect one the buyer needs to check out all the options at hand. Nowadays, printed blinds are faring well in the market, though plain blinds are also high on demand. 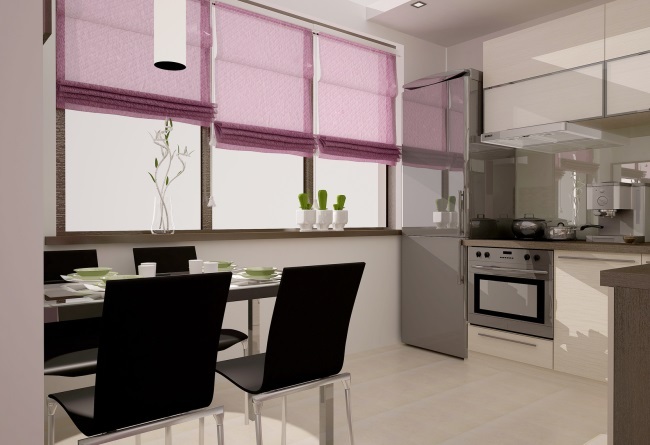 However, printed designs can be a good choice for those who want their kitchen to look trendy. 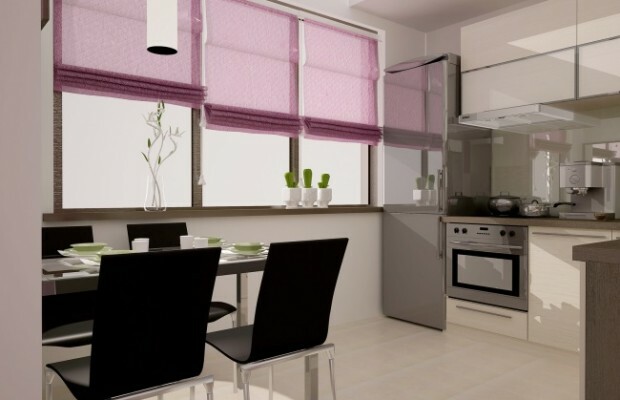 Size: The size of the window kitchen blinds needs to be taken into account before selecting any particular blind. Different windows require blinds of different sizes and so the buyer needs to be very careful while choosing these products. Proper measurement must be taken of the windows so that widows of the perfect size could be bought. Without proper size a blind is never able to deliver the desired service. Larger windows would require larger blinds to cover the entire glass pane properly. Material: The basic raw material of the blind should also be taken into account in order to have the best in class product. Nowadays in most of the cases the blinds are made from plastic sheet, natural fiber like jute and wood. The choice of the material depends on the clients’ individual needs and so a person needs to be very careful while making this choice. For those who want eco-friendly products jute window kitchen blinds are the best choice, those who want a more durable one can go for wooden blinds, and people who prefer a trendy look can opt for plastic blinds. Cost: Different manufacturers offer identical products at different prices and so it is essential for clients to make a very careful choice from a large number of options in order to save a few extra bucks. It is always better to go with the products that are available at an affordable cost. It would help clients save a lot of money. Maintenance: Maintenance of the window blinds plays an important role in the cost efficiency of the product. Hence, it will be good to go with a product which does not require much maintenance. Window kitchen blinds are available online as well and so it is possible for clients to choose from a large number of options sitting right at home. The main advantage of shopping online is that clients do not need to travel from one store to another in search of the products that they want. Instead they can sit at home and browse through the online store to get the products that they want. This has made the shopping process a lot easier and hassle free. With the various offers and sales, it is also possible to save quite some money on these purchases.